Egg Harbor City Police have released their Police Blotter for the week of September 23, 2014 to October 6, 2014. Arrests consist of contempt of court, DWI, and weapon charges. Orlando Rosa, 52, of Egg Harbor City was arrested by Sgt. Matt Landicini for contempt of court on September 24. 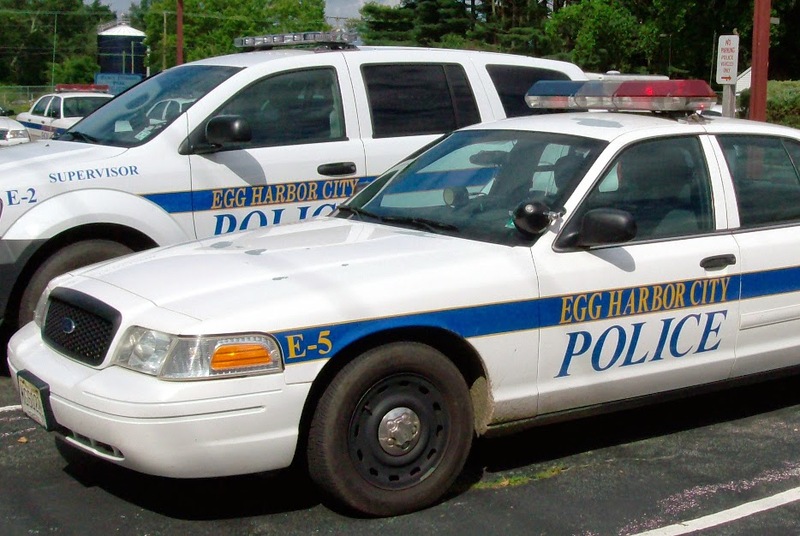 A juvenile, 17, of Egg Harbor City was arrested by Det. Remon Soliman for contempt of court on September 25. George P. Ramp, Jr., 48, of Egg Harbor City was arrested by Ptl. Jen Hurley for criminal mischief on September 26. Bassirou Dieng, 29, of Philadelphia, P.A. was arrested by Sgt. Marcella Aylwin for driving while intoxicated on September 28. Jeremy Cooper, 27, of Egg Harbor City was arrested by Sgt. Dylan Hutton for harassment on September 29. Lillie M. Green, 48, of Egg Harbor City was arrested by Sgt. Matt Landicini for disorderly conduct on September 29. Danielle R. Vargas, 38, of Egg Harbor City was arrested by Sgt. Dylan Hutton for disorderly conduct on September 29. Jose Cabrera, 61, of Pleasantville was arrested by SLEO Joe Akeret for unlawful acts on October 1. Rosie Jiggets, 55, of Egg Harbor City was arrested by Sgt. Marcella Aylwin for contempt of court on October 2. David A. Rodriguez, 23, of Egg Harbor City was arrested by SLEO Pat Aiken for contempt of court on October 6. Gregory M. Wisniewski, 22, of Egg Harbor City was arrested by Ptl. Tom Coney for contempt of court on October 6. Christopher D. Johnson, 33, of Egg Harbor City was arrested by Ptl. Tom Coney for theft by unlawful taking on October 6.